Fountain Valley, CA—A provider of memory storage products and technology solutions, Kingston Technology is celebrating its 31st year in business. Kingston was cofounded on October 17, 1987 by CEO John Tu and COO David Sun. Their initial offering was “a revolutionary new Single In-Line Memory Module (SIMM) that would serve to redefine industry standards for years to come,” the company announced. Today, Kingston designs, manufactures and distributes memory products for desktops, laptops, servers and printers. It is also a provider of flash memory products for digital cameras, mobile devices and computers. 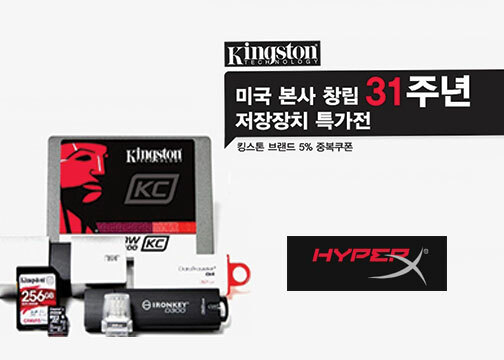 To celebrate the anniversary with its loyal supporters, Kingston also launched a 31st anniversary promotion. The promo offers up to 31% off selected products in limited quantities from October 16–19, 2018. The discount is available on Auction, Compuzone, Coupang, Gmarket as well as 11 STREET. It also includes the company’s HyperX brand. The entrepreneurial spirit of both owners and the success of the company were recognized through the years. 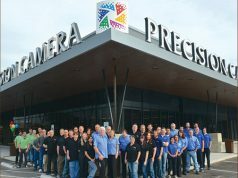 “Kingston’s core tenets of respect, loyalty, flexibility and integrity have created an exemplary corporate culture—one that guides our relationships with customers, partners and vendors, and to which Kingston owes its success,” the company added. Currently, Kingston Technology is one of the largest suppliers of DRAM modules among non-semiconductor manufacturers. It is also a leading maker of flash memory and USB products—especially SSDs. Moreover, in 2013, Kingston shipped the world’s largest and first 1TB USB flash drive. Furthermore, the company’s product portfolio has expanded in recent years. It now also includes headsets, keyboards, mice and mouse pads via its HyperX gaming brand. Those products have gained acceptance among professional gamers and pro sports athletes. It took only two years for HyperX to ship its one millionth gaming headset. Today, Kingston, through all its brands and product categories, offers more than 2,000 technology solutions. In addition, it ships to 120+ countries.